Back in 2008, I wrote an article about the best prepaid wireless providers in Canada. My spouse and I were both low volume users, so a prepaid wireless plan made sense to help keep costs low. Since 2008 however, I changed to an employer that provided a cell phone as a perk. So all we really needed was a phone for my spouse who only wanted a phone to make occasional calls, and the odd text message. We ended up choosing PC Mobile and have been using their “anytime plan” ever since. Prepaid wireless providers have changed over the years from offering only “anytime plans” where you pay by the minute/text, to “monthly plans” with a set monthly fee for higher volume users. Bell $0.30 $0.40 ? ? ? ? $3.95 ? Looking at the table, the fees can be quite steep for the occasional user, with the big boys Bell and Rogers being the worst. PC Mobile is still very competitive with their fees of $0.20/min of voice and $0.15/text (Canada and US). Petro Canada has the lowest cost for texting within Canada at $0.10/text, but their coverage can be a limiting factor. The big providers offer much more value if you are willing to pay a set monthly fee. More details below. Over the last couple years, our text and voice usage has been increasing on our anytime prepaid plan. There are occasions where we use more than $15/month. 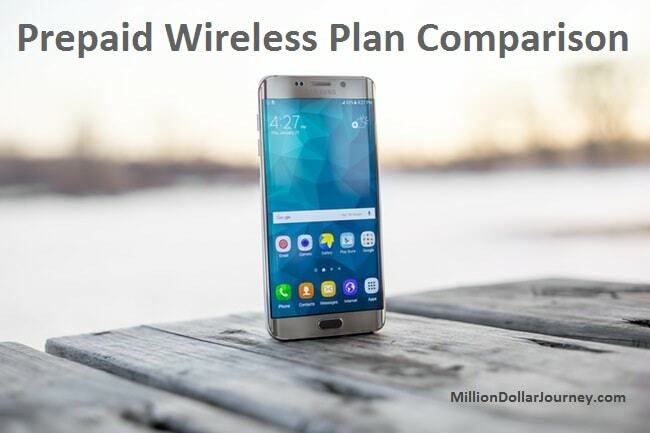 Since a number of prepaid monthly plans start at $15/month, I have been on the search for a plan to suit our needs. Here is what I came up with as the best value prepaid monthly plans for a lowish volume user. By lowish volume user, I mean some voice, at least 100 texts/month, and perhaps even some data usage. One thing is to take notice are if there are any extra costs for picture and international messages but only if you use that feature. Can add boosters for voice and data which never expire. For example, pay $25 for 500 anytime Canada-wide minutes ($0.05/min) that you only buy again after you use them up (use double minutes for the U.S ie. $0.10/min). For data, it’s $10/100MB; $20/500MB; $30/1GB and also never expires. This is the ideal plan for a heavy text user but occasional voice and data user. We will likely switch to this plan if we consistently cross $15/month. Koodo uses Telus towers, which means extensive coverage across Canada (comparable to Bell and Rogers). Extremely low cost ($10/month) that includes some voice minutes and unlimited Canadian texting. Great plan for extremely low voice users but heavy texters within Canada. It can get pricey once the voice minutes run out. Note that the plan does not include picture messages which cost $0.50/msg within Canada and $0.75/msg to international destinations. I big advantage of Rogers is the ability to roam (albeit at crazy high rates). In the base plan, can add $5/100min; $10/200min; $15/300min; $40/1000min for voice and $10/100MB; $15/500MB; $25/1GB for data. Coverage is less than other carriers, esp in NL. Any extras expire at end of month not when you use it all up. Middle of the road plan that provides all the texting you need (like Koodo) but adds a little bit extra for voice minutes ($5 for 50 min). If choosing, I like the flexibility of the Koodo “booster” concept better. For our purposes, I really like the Koodo “booster” concept as mentioned above. The base plan covers all text message costs where picture and international messages are covered and voice and data minutes are covered by the booster packs that never expire. This means that you only pay for what you use, rather than paying for minutes/data then having some left over and wasted at the end of the month. Otherwise, I think the Rogers plan has a lot of merit or the very occasional voice user. At $120/year, they offer significant value, but the costs can really creep up once you use up the 50 minutes of voice time for the year (or send picture/international messages). The Petro Canada is a very good deal as well, but with limited coverage compared to Rogers/Bell/Telus/Koodo and with extra fees for picture/international messages. I’m sure a lot of you have done a lot of research with cell phone plans. What are your thoughts? Which provider and plan are you with? I’m currently on the old Rogers plan (the new one mentioned above is replacing the one I have). When it expires I’m looking at going with Sugar Mobile – http://www.sugarmobile.ca which is $19/month (a bit more pricey) however its BIG plus is free roaming both in Canada and US. The $19 get you 200Mb/month over cell network (and I think any unused amount carries forward/accumulates – not sure) which you can split/use as you see fit between voice/test/data. If you are connected to wifi (i.e. at home) then you have unlimited voice/test/data. Only fly in this ointment is the BIG guys (Rogers, Bell Telus) which Sugar runs over, are trying to kill the access agreements – so far CRTC has ruled in favour of Sugar. If anyone has used them I would really appreciate your comments/thoughts :). Totally agree. I switched to Speakout a couple of years ago. I was averaging 10 min per month with no data (too hard on my old 2010 blackberry). Paid $35 total last year! I love that my credits are usable for an entire year, and buying new credits re-starts your year for all of them. I’ve used Petro Canada pay and talk for the longest time. No real issues. $100 top up usually lasts me 5 months. And when you do buy a $100 top up, they give you an extra $10 free. You get Petropoints too, which is good for a little something every year. In GTA, I have been using Wind Mobile from last 6 years. No complaints…Anytime unlimited talk time, Nation wide calling, unlimited texting in Canada and US, call id, voicemail all for $25. Plus No contracts. You can add unlimited calling within US for $10/month. This is nomimal price if you going on a vacation or short trip. Wind and Mobilicity (who has now been bought out) are obviously not being considered in this post because the subject is pre-paid plans, though I’m glad it also covered the new blended plans that have a monthly rate + pay-as-you-go. While the “little guys” offer excellent value, I only recommend them with a big caveat: you should only use them if you live in a major city and rarely visit rural areas. And even in the cities, cell signals are weak (doesn’t reach basements) and there’s places where the data signal drops out. This is because they have their own AWS network of cell towers, and don’t have access to the huge networks set up by RoBellus. There’s a smaller caveat too: only AWS-compatible phones can be used, which used to really limit your options but these days quad-band phones are becoming much more common. Having said all that, my wife has been paying $25/month on Mobilicity for many years for a plan with unlimited everything, even data. Reliable coverage has been an issue from time to time, but we’re still sad that they got bought out and customers are being forced to new, more expensive plans with Chattr. I’ve been a prepaid user with Virgin for a long time. I signed up when the deals were a bit more competitive (i.e. pre-Koodo). For $15/month, I like the unlimited Canada+U.S. texting, and I just use wi-fi at home rather than pay for data, but the calls are certainly more pricey than other providers ($0.40/min). I’d be interested to know where all the frugal prepaid users purchase their unlocked phones and which model is the best value? Or maybe this is a subject for a future post…. Every phone I have ever used has been bought either second-hand from someone on Kijiji, or bought on eBay. I usually sell the old one too, so most upgrades only cost me $100 or so. My wife likes the Nexus series, which are always unlocked, but for my last few second-hand phones I’ve purchased unlock codes from eBay or other websites. I found that unlocked phones are often sold at too high of a premium, when you can usually buy the codes for $7 – $20. As far as models go, “best value” is difficult to evaluate. For sure getting the most recent model is not good value. In the stores, prices are marked up a lot more on the new arrivals, and there is not many people selling them used. And buying from the stores is not good value either. Much like buying new cars, you can lose 10 – 15% of the value just leaving the store. If you want a really good deal, stick with models that are very popular, like iPhones or the Samsung Galaxy series (just avoid the Note 7, the rest are fine), and keep an eye for good deals on Kijiji or Craigslist or whatever local classifieds are popular in your area. People will occasionally undervalue their used phone because they just want to get rid of it, or don’t know its worth. When you meet the person, make sure you test out all the major features, and check the phone’s IMEI number on swappa.com to make sure it’s not reported stolen and/or blacklisted. You should also check with your cell phone service provider to make sure the IMEI number is compatible with their system. I prefer to buy new rather used – have been burned too many times. I bought a Motorola Moto G 2nd Gen about a year ago at Staples for $200 all in (unlocked) – very happy with the device. Staples has a number of unlocked phones starting below $100 depending on what you need want. Also their return policy of 30 days is very useful – buy the device use it to see if it suits your needs – if not return it with no hassle – in fact I bought 3 different phones initially and told them up front that at least 2 were going to come back – they were totally cool with that. I use a Fido tiered tablet plan ($10/150M, $25/1G), so Data only (technically $1 a minute, voice). Fongo (VOIP) for when I need voice (rarely) and Google Hangout for IM. Still on a Nexus 4. Pixel line of phones seems too expensive. If I needed to buy a phone right now, it would be a one+. I like to customize my phone though. I use a fido tablet plan in my phone too but i use the $15 for 3gb plan they have now with voip.ms for a Canadian number ( 0.85 per month plus <1 cent per minute for calls and free sms for now) and Google hangouts for free outgoing calls. If I used even less data (mostly wifi), I would get an international sim with approx 100Mb for approx $5 a month and the same voip as I use – very cheap and flexible and works in most of the world. I’m curious about the international SIM you mention here… can you point to which one you use or a place to read up on them? Very comprehensive article. My advice would be to pick a plan carefully based on what your needs are. While large data plans sound great, you just don’t need them so much as wi-fi is practically everywhere these days! I’m another lover of the 7/11 Speakout service, I used it for a number of years with two separate phones (one for me and one for my wife) and we paid ~$75 annually for both phones. You can do picture messaging but only if you also have data. Data is a big downside as they can basically only offer you 2G speeds. Also, curious as to why you have the coverage listed as “low” Speakout uses the Rogers network so you get the same coverage as all other Rogers users, just not their higher-speed data. With PC Mobile you can easily switch between the prepaid Anytime plan ($.20/min) and a prepaid monthly plan when (prorated for part months). I do this when I figure I’ll be using more minutes in a month than usual. For data I usually use the free wifi that is available many places – and for when it isn’t available (especially when traveling in other countries) I have my own hotspot device from Keepgo.com. Rogers has increased their yearly plan to $180, much better options available in comparison now. I know it’s been a while, but I don’t think that things have changed much since the article was written. The most important thing is to know your usage. For me, Koodo prepaid is still the best value. The fact that the boosters never expire mean that I can save money by buying the biggest data and airtime boosters. I average about $25/month including the $15 base charge and taxes. I do need some data and minutes, and I tend to spend a bit more on data than on minutes. If my average costs start to climb above $30/month then it will be time to look at other plans. I agree, my wife is still using koodo and it’s great value – especially when they have double booster promotions.